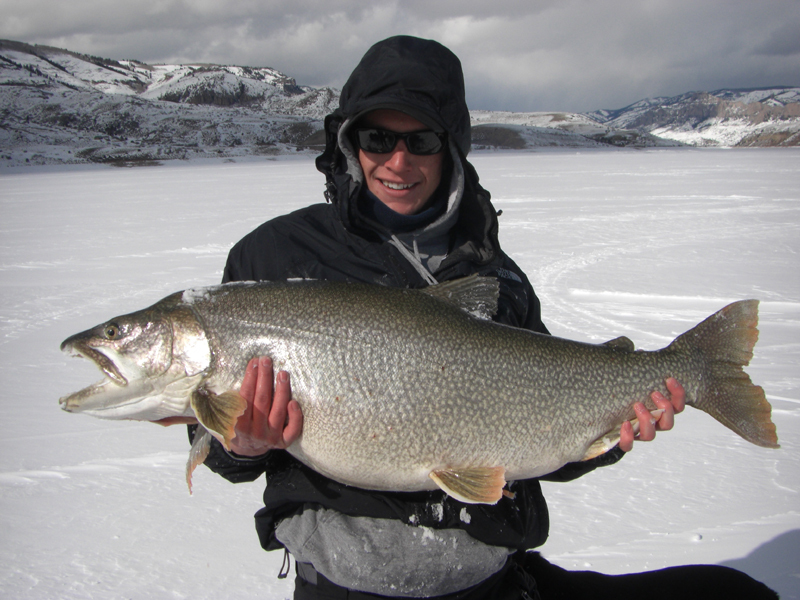 Colorado is home to many great ice fishing lakes and many great Colorado ice fishing tournaments! This page will hep you decide which ice fishing tournaments best fit your skill sets and location. We are updating this page as we get new info so please check back often! The dates bolded have been updated. 5 – Stagecoach Reservoir ice fishing tournament- Lots of prizes and fun to be had! It’s $30 to enter and there are several prize categories! More info here. 5 – Boyd Reservoir- Tightline Outdoors presents round one of the Ice Addiction Tournament Series with a big first place prize! No augers or ice huts allowed, all holes will be pre-drilled. Register here. 4 – Island Lake on the Grand Mesa ice fishing tournament- the Cedaredge of Commerce presents a fun ice fishing tourney with cash prizes! Kids 17 and under are free, adult entry is $30 each. Details and rules here: Cedaredge Ice fishing tournament on Island Lake. 10– Grand Lake- Tightline Outdoors presents round four of the Ice Addiction Tournament Series with a $2,500 cash first place prize! No augers or ice huts allowed, all holes will be pre-drilled. Register here. 20 – Lake City/Lake San Cristobol- First through third place prizes are available for the three biggest, live fish brought in to weigh-in. The tournament runs from 8:30-4:30. For more infor contact Jerry Sharpe (970) 944-2484 lakecitysharpe@gmail.com. 16 – Wolford Ice Fishing Tournament- 22nd Annual Wolford Reservoir Ice Fishing Tournament from 7 a.m. to 3 p.m. Cash prizes to the 10 top placers, hourly big fish prizes, $10,000 tagged fish contest, raffle tickets for an Ion Electric Ice auger, door prizes. $35 for adults to register kids 15 and under are free unless they would like to register as an adult and be eligible for cash prizes. Awards ceremony will follow at 4:30 at the Kremmling Chamber building in town. 970-724-3472 or click here! 23 – Williams Fork Ice Fishing Tournament- Prize payouts for the top 12 biggest game fish and $1000 to the biggest pike! Snowmobiles WILL be allowed for the tournament! It’s $35 to enter and kids 15 and under are free! Call or Email Kacey Beres 970-389-0818 or Kacey@jublieenonprofit.events. 3 & 4 – Grand Lake Catch & Release Ice Fishing Tournament- the fifth annual “Catch & Release” tournament on Grand Lake hosted by Rocky Mountain Outfitters. Stay tuned for details Grand Lake Catch & Release Tournament. 2- Blue Mesa- Sport Fish Colorado and First Baptist Church are teaming up for the first time to put on the 6th annual Blue Mesa Ice Fishing Tournament! This is a great family tournament with a 100% cash pay out! Entry is $20 for an individual and $30 for a family and can be paid at check-in at Dry Creek Boat ramp. More info here: Blue Mesa Ice Fishing Tournament To pre-register email your name, address, and phone number to info@firstbaptistgunnison.org or call 970-641-2240.